Looking back at over 20 years as a professional, Scunthorpe United striker Deon Burton has experiences most can only dream of, and as the one-time record label owner discussed all things music he may have inadvertently mapped out a new career for himself. The Reading-born forward’s instant impact on the international scene with Jamaica as his crucial goals fired the Reggae Boyz to the 1998 World Cup is what many still remember him strongly for. His days in the Premier League for Derby County in which he struck against the likes of Manchester United, Chelsea and Liverpool also ensure he remains a recognised figure in the game. 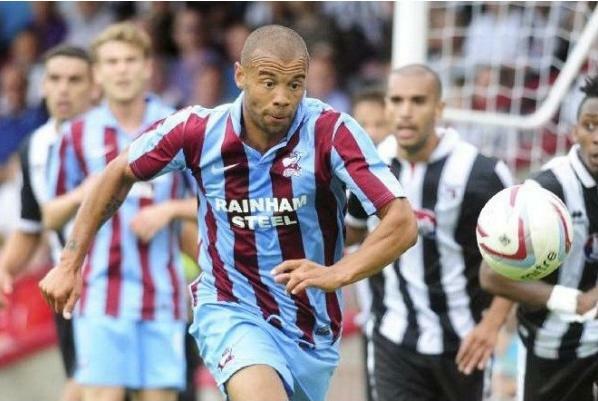 Former Sheffield Wednesday frontman Deon made his 600th career appearance in Scunthorpe United’s 3-3 draw at Dagenham & Redbridge towards the end of January but he injured his calf as he scored for the Iron. The 37-year-old remains on the comeback trail but he has playing ambitions for some time yet. While we were getting some music talk in as is the way on here, Deon highlighted a couple of fellow strikers who raise the bar with their vocals. The first of these has featured on here in the past and although he defends his unbeaten record as a super-middleweight this Saturday the ex-Norwich City man has released his own music material previously. “There were a few good ones at Charlton. Leon McKenzie’s a very good singer and I think once his boxing days are over he might go back to music. As he reveals later, Deon has plenty of ideas on where his endeavours may take him post-playing but here is another one he could add to the list. When asked which of his career teammates he would select to record a cover version of a song with he stuck with his two aforementioned ex-Addicks colleagues. They need one more to join them though if they are going to emulate the 90s r&b masters he chooses! “I think I’d have to choose Leon McKenzie – he’s a good singer so I’d have him in there. Dicko (Chris Dickson) as well, the three of us would probably do an r&b number. A slightly surreal high point for Deon came in December 1997 when he played as Jamaica’s representative for a FIFA ‘Rest of the World’ XI against a European selection in Marseille’s Stade Vélodrome. With Gabriel Batistuta among his teammates, he came on as a substitute for Brazilian maestro Ronaldo in a 5-2 win against such stars as Zinedine Zidane, Fernando Hierro and Patrick Kluivert. Domestically, Deon had made his debut under Jim Smith at Portsmouth and it was Smith who took him to the Premier League with Derby for £1million in August 1997. He scored his first Rams goal in a 5-2 win at Sheffield Wednesday a month later and one of his attacking counterparts that season was also the dressing room DJ in his time at Pride Park. “Most of the clubs I’ve been at I’ve sorted out the music but Dean Sturridge at Derby liked his hip-hop and house. He’d have Todd Terry on quite a bit. “I’ll whip my phone out and put it on sometimes but at Scunthorpe it’s mainly the reserve keeper James Severn who’s in charge of the music. It’s usually a bit of house, r&b, hip-hop – all upbeat stuff before the game. “I’m into r&b, hip-hop, reggae, a bit of house. I like Alicia Keys, Beyonce, Usher, Joe – so quite a range. Named Jamaican Sportsman of the Year in 1997, Deon made his international debut for the country of his father while the team were in the final qualifying phase for the 1998 World Cup. He scored the only goal in his first game as Jamaica beat Canada in Kingston before repeating the feat against Costa Rica a week later. An equaliser to earn a draw against the United States in Washington in front of over 51,000 followed before another in the 2-2 with El Salvador. Jamaica secured qualification for what remains their only World Cup after a goalless draw at home to Mexico and the Sky One programme Caribbean Uncovered captured Deon in the midst of the celebrations with some female dancers in the stadium! The moves he had on that occasion were a little bit different from the guy who had the honour of being the first artist in his music collection. In his best scoring season (1998/99) at Derby, Deon contributed 12 goals as the Rams came 8th in the top flight. In a loan spell in 2002, he notably scored for Stoke City as they beat Brentford 2-0 at the Millennium Stadium in the Division Two play-off final in what was an early step towards their ascent to the established Premier League club they are today. After permanent moves to former employers Portsmouth, Brentford, Rotherham United, Sheffield Wednesday and Charlton Athletic, he made a surprising choice in the summer of 2010. Joining up with Azerbaijan club Gabala, managed at the time by ex-Arsenal and England captain Tony Adams, Deon stayed for two years. He saw it as potentially his last opportunity to play abroad and he managed to make friends and settle reasonably well despite being away from his family during his stay. Deon’s old Portsmouth teammate and boss at Brentford, Martin Allen, gave him his next shot at English football in August 2012 and his faith was rewarded as Deon played an integral role in Gillingham winning League Two, scoring 13 goals. Scunthorpe became his ninth different full-time employers ahead of this season and it gave Deon another chance to dust off those vocals. “More recently, in the last four or five years I’ve had to sing as a new player. I sang a little hip-hop song (‘Ain’t My Type of Hype’ by Full Force) from the film ‘House Party’. In the interviews on here, I talk to players and personalities from around the world but as a Sheffield Wednesday supporter I always relish the chance to have someone connected with the club on the site. Deon had played four times against us for Brentford in the 2004/05 season, scoring an 82nd-minute winner at Hillsborough and a stunning half-volley from outside the box at Griffin Park in the league meetings. He was a beaten play-off semi-finalist as Wednesday dispatched of the Bees en route to winning promotion to the Championship but he had impressed Owls manager Paul Sturrock. Deon remained briefly in League One and signed on a free transfer for Rotherham, scoring 14 times in half a season. It was enough for Sturrock to push through a deal to bring him to Wednesday and on New Year’s Day 2006 he made the short trip across South Yorkshire for £110,000. 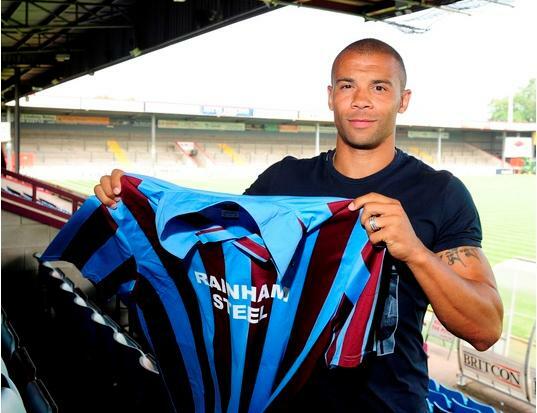 Also joining him in bolstering what had been a shot-shy Owls frontline was 22-year-old Marcus Tudgay from Derby. Tudgay had been on his way up at Derby while Deon was a Rams player and they linked up to terrific effect at times while in the blue and white at Wednesday. Most Owls supporters will remember the sublime one-two between the pair in the home win over Leicester in November 2006 as Deon’s chested pass was lashed home in front of the Kop by his strike partner. As they officially signed for the club on the same day, was it a welcome surprise for Deon or had he been kept in the loop beforehand? In his first few months in S6, Deon helped the club to preserve their Championship status. He scored three times, including a brilliant first touch to bring Mikkel Bischoff’s long pass under control and finish in a crucial win at Wolves. More so than the goals though was his assured hold-up play in some scrappy encounters typical of the relegation battle we were in. His ex-boss Martin Allen speaks highly of Deon’s professionalism and the influence he has on the younger players around him and I saw it myself in a number of games that year. Paul Sturrock had brought him in and the Scot had a strong connection with Wednesdayites which remains to this day. Club captain at the time, Lee Bullen, told on here how Sturrock would hijack the changing room speakers with his favourite song ‘Teenage Dirtbag’ by Wheatus! There were also moments like his appearance for the Reading game at Hillsborough where he was stood on the touchline dressed in a kilt as he honoured a promise made if the team avoided relegation. Deon’s memories of the ex-Dundee United star, who departed Wednesday in October 2006, are all positive. “He was a good manager and a great character. He was fun to work under. Sturrock’s replacement was Brian Laws, and after an upturn in form under caretaker manager Sean McAuley, Laws led the team to 9th and only four points off a Championship play-off place. A poor run of results in January had ultimately put paid to hopes of a top-six finish but it was a season where Wednesdayites got to enjoy winning football for a good amount of the time. Although a 20-goal striker has eluded Wednesday since Mark Bright in the great early 90s team, save Steve MacLean and Neil Mellor in the third tier, in 2006/07 there were four players in double figures. Deon was joint-top scorer with MacLean on 13 while Marcus Tudgay weighed in with 11 and Chris Brunt with ten. Brian Laws was still in charge in November 2008 when Deon was allowed to join Charlton who were at the time fighting what would be an unsuccessful relegation battle in the Championship. He had netted his first of the season for Wednesday that same week but the long spell without a goal had seemingly damaged his chances of getting a new contract with his deal due to expire at the end of that campaign. Although Laws let him move on, he thought enough of Deon to re-sign him for Scunthorpe last summer and Deon appreciated the former Nottingham Forest full back’s approach towards the players. In his last full season (2007/08) with The Owls, Deon scored nine, including a double in a vital 4-1 home win over Norwich in the final game. Over 36,000 were at Hillsborough and there was an early Darren Huckerby goal and a further scare as Matty Pattison looked to have doubled the Canaries’ advantage. An outstanding save from Owls keeper Lee Grant kept them in the game and after Deon won and converted a penalty he scored a header in the second half. Wednesday finished 16th in the Championship after that victory but would actually have ended up six places lower and been relegated had they lost the game. Understandably, that day and the atmosphere were particularly enjoyable for Deon and there is a lot of fondness looking back on his days at the club. “I still speak to JJ (ex-Wednesday and Jamaica teammate Jermaine Johnson), I remember Tango who always had his shirt off in the crowd! It was a fun time, we had a good bunch of lads and players like Chris Brunt and Glenn Whelan who’ve gone on to do well in the Premier League. “Also, Granty’s (goalkeeper Lee Grant) doing really well back at Derby. It was actually the first time in my career I’ve been at a club where I’ve had my own song from the fans. A player who often showed technique that belonged back in the Premier League, Deon was well received at Wednesday, but is there anything he would have liked to change from that spell? “To have scored more goals in my last season. I ended up going to Charlton but if it had worked out differently I could have maybe still been there (at Wednesday) now, who knows? Just 21 when he went to the World Cup with Jamaica, Deon was one of seven English-born players in René Simões’ squad for the finals. He played a part in all three group games but after defeats to Croatia and Argentina, the win over Japan was a consolation, although fervently celebrated by those who had made the trip to France. There was a national holiday declared on the Caribbean island when the team qualified for the tournament and the achievement brought the Jamaican people further together in shared elation. Other Jamaican internationals to have featured on this site include Marcus Gayle, Jobi McAnuff, Michael Johnson, Jamie Lawrence, Khari Stephenson and Jason Euell. Deon, who has 59 caps and 13 goals for the national team, shares his memories of life on the tour bus with the Reggae Boyz. “Obviously the World Cup is what everyone remembers. The thing that sticks out for me with music with the Jamaican team was any time we’d travel to our home games. “The atmosphere on the team bus was like a mini-party. We had these massive speakers that would outdo any professional sound system! With loans at Cardiff City, Barnsley, Walsall and Swindon Town also in his career history, Deon can certainly draw on more experiences than most who are currently playing the game. Despite his large part in getting Gillingham promoted last year he was not given a new contract. The way he expressed his sincere regret but decided not to take it personally was the mark of a consummate professional. He moved on to Scunthorpe and although Brian Laws was sacked in November it was his assistant Russ Wilcox who replaced him, initially on a caretaker basis. Wilcox, who was given the job permanently on Christmas Eve, is still unbeaten and the Iron are 2nd in League Two with twelve games remaining. Wilcox worked with Deon for three years when he was Laws’ assistant at Wednesday and he is a big fan of what he brings to the team. Still recovering from a calf injury, Deon has five in his last seven games and won the League Two Player of the Month award for December. He is part of a strong frontline with Paddy Madden, Paul Hayes and the league’s 18-goal leading scorer Sam Winnall. At 37, he wants to extend his days on the field for a little while yet. “We’ve had a good six or seven months and we’re still in the top three so it’s going well. I still feel like I’ve got a few more years left in me yet. Growing up, Deon was a Liverpool supporter and his idol was John Barnes. 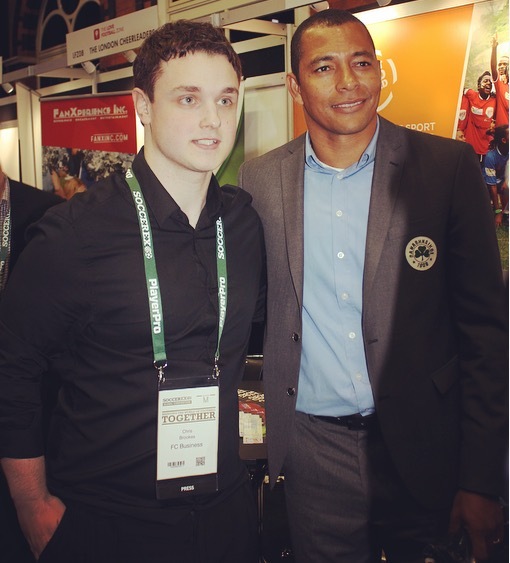 He got to play against the former England winger and Reds icon as well as having the opportunity to play for him with Jamaica. You don’t play over two decades in professional football without knowing a thing or two about the right decisions to make and how to look after yourself, so I asked Deon what he has learned from the game. He also shared a little bit of his personal life and his biggest role of all – a father. “Always give 100 per cent and always make sure you can come off the pitch knowing that you’ve done your best. If you can do that then there’s no worries. “Maybe at the start of my career I could’ve done more. It’s not that I didn’t give 100 per cent but there were things I could’ve practiced more with extra training that I wasn’t so good at. “I’ve been bringing up four beautiful kids (two daughters, two sons) and my oldest daughter is a very good tennis player. She’s been playing for her county so I’ve been spending time watching her play. On a personal level, I am glad to hear Deon is not ready to call it a day just yet. His career has spanned my childhood, teenage years watching him at Wednesday, and now young adult life so I hope there are a fair few games and goals to come. Whenever he decides the moment has arrived to walk off the pitch for the last time he can look back at his years in the Premier League, a World Cup, becoming a national hero in Jamaica, and reaching 600 games (and however many more). He has had some incredible experiences and is still chasing success. We ended the interview with Deon stepping up to the challenge of the regular final question on here. This one requires the player to put themselves in a 5-a-side team and to select four of the best players they have ever worked with to join them. It was Derby who gave him his chance at the top level and it is easy to appreciate the significance of that spell in his career. There is however one of his Wednesday teammates in his line-up, but even he was at Derby once! “My keeper would have to be Mart Poom. The fittest guy I’ve ever met and always at the front of the running group. “Great ability and a great person. He was the first one at training and the last to leave – a great athlete. “Igor Stimac – an obvious leader and my captain at Derby. A solid defender and he could play a bit as well. “In midfield I would have to have Georgi Kinkladze. His feet were absolutely amazing and even though you knew what trick he was going to do he still got past you. “For a striker I’m going for either Tuggy (Marcus Tudgay) or Paulo Wanchope. I’ll probably say Tuggy.